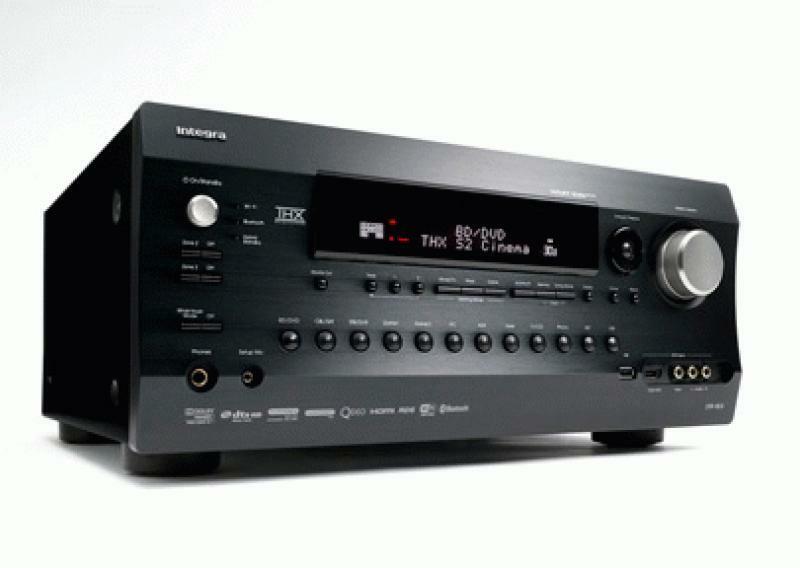 Integra has introduced two new home theater receivers, models DTR-40.5 and DTR-50.5. These are designed to provide new technologies for music enjoyment and compatibility with advanced multi-room and home automation systems. The Integra DTR-40.5 and DTR-50.5 add several important new features for 2013. These include full support for the new Ultra HD high definition video format, the addition of TuneIn to the internet radio content list, as well as built-in Wi-Fi and Bluetooth interfaces for modern media connectivity. These two new A/V receivers are also THX Select2 Plus. The Integra DTR-50.5 has a more powerful seven-channel 135-watts per channel power amplifier, compared to the DTR-40.5's 7x110 wpc. The DTR-50.5 also has additional digital audio inputs, a differential DAC for the front channels, a programmable remote control, and the company's exclusive Digital Processing Crossover Network. DPCN reportedly improves the performance potential of bi-amped stereo speakers by eliminating the crossover overlap between the high and low frequency signals to prevent high and low frequency sounds from bleeding into the wrong drivers. These receivers are designed to interface via Wi-Fi and Bluetooth to stream music from phones, tablets, and computers. With Integra's Remote Apps for iOS and Android, users can push music to the AVR from phones and tablets. They can also playback high definition music files in FLAC, DSD, ALAC, HD 24/96 and HD 24/192 formats from HD music download services. These networking features also provide access to audio streaming content such as that from Spotify, Pandora, Rhapsody, SiriusXM Internet Radio, Tune In and many others. The DTR-40.5 and DTR-50.5 also have a phono input and provide support for legacy digital and analog sources. The amplifier sections employ the company's three-stage inverted Darlington circuitry and Wide Range Amplifier Technology (WRAT) -- a low negative-feedback topology for low distortion and high dynamic range. The Integra DTR-40.5 and DTR-50.5 are now available with suggested retail prices of $1,300 and $1,700 respectively.